Welcome back to The Guest Room! I hope you enjoyed your summer as much as I did. 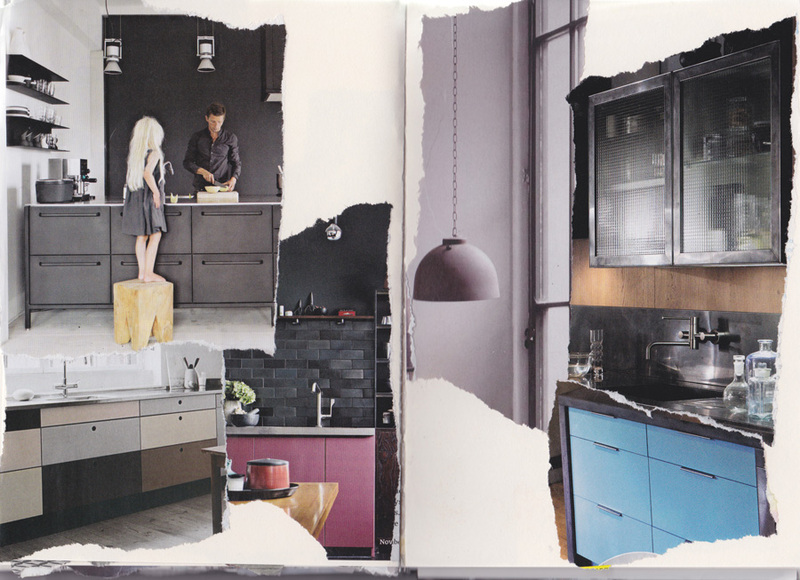 To get the ball rolling for Fall, I’ve collaged together some kitchens I really like for inspiration. Fall is a great time to begin new projects and renovate those spaces like the kitchen or bathroom that have been wanting a new look for awhile. Top left, I love the high contrast of the black and white using metal shelving, raw concrete flooring and industrial cabinetry. 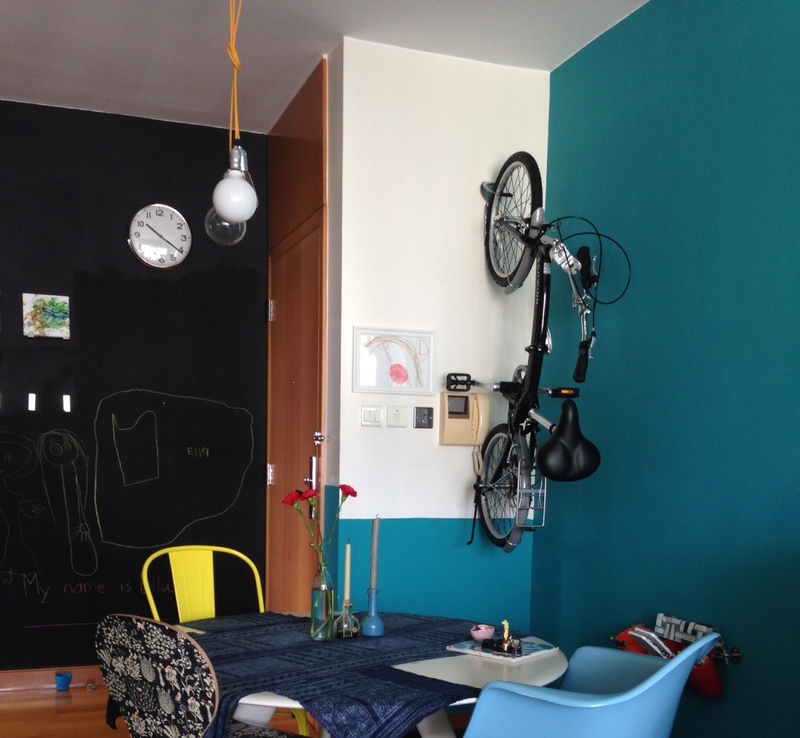 I’m not sure if the black wall is a chalkboard wall behind, but imagine the fun that could bring to this space! I always suggests to add colour to walls or with accent decorative elements for less permanent effects. BUT how about pops of colour on the cabinet doors? Are you brave enough to try pink or blue doors in an all black kitchen? How about a collage of warm hues like the bottom left? Just in case you are wondering, Sydelle Rose is the pink cabinet door colour matched to my ZERO toxin, Mythic Paint colour book. Coming back to Hong Kong, before I could think of any other work related projects, I had a few of my own to sort out. Last spring we bought bikes for our family. 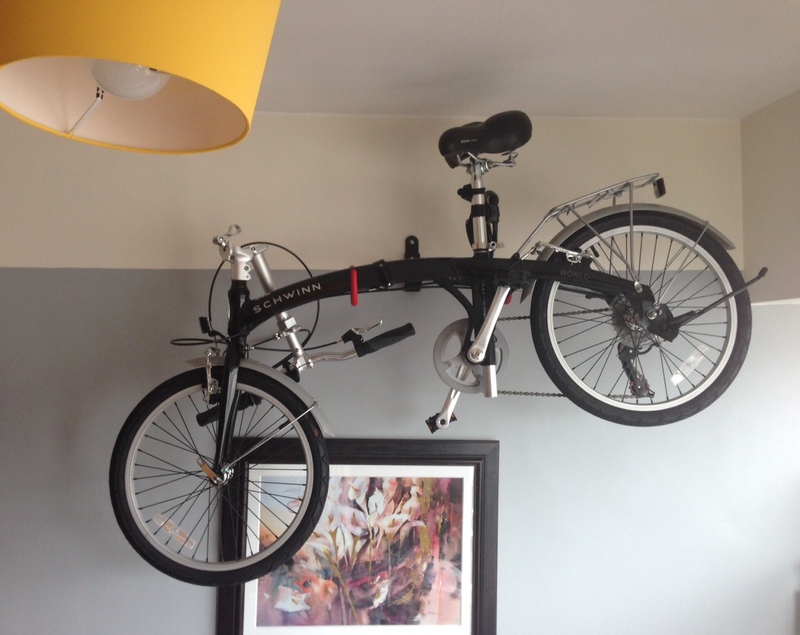 We purchased folding bikes thinking that would be more compact and easy to tuck away. After tucking the bikes for several months, I didn’t like the storage unit clutter look that they added to my home. My first day back from holiday, project number one, was to find new homes in our house for our bikes! The bikes now live UP on the wall! I really love the look, and how they have transformed each room. What are your small projects for Fall? This entry was posted on August 26, 2014 by theguestroom in by JAR.